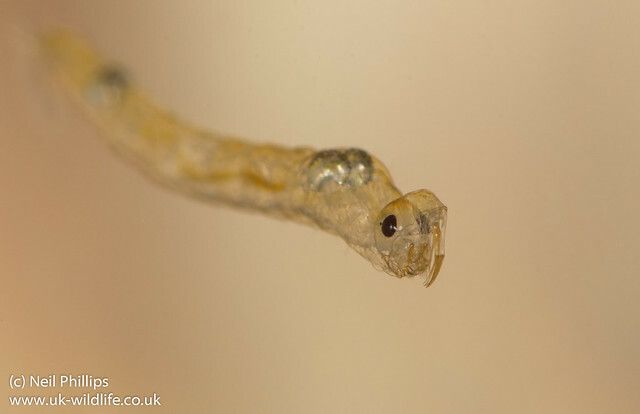 Phantom midge larva Charborus sp. 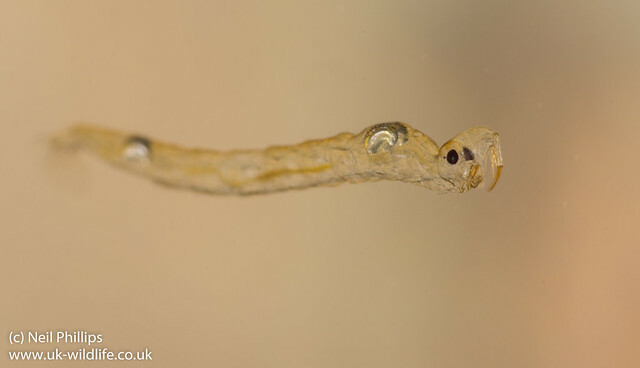 After the success of the Pond olive mayfly larva post I thought I post about another of the ponds amazing creatures: the Phantom midge larva. I took some photos of these creatures today. 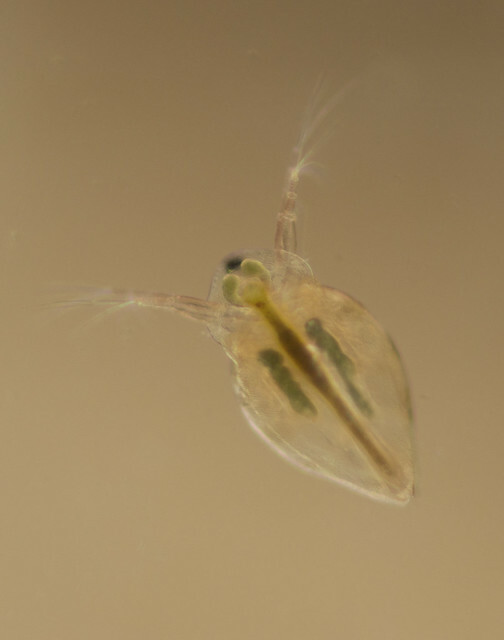 They are specialised predators that live a mostly planktonic life. Floating around in open water they would be easily spotted and vulnerable to predators, but they have the ultimate camouflage: they are almost entirely transparent! You clearly see their gut and the silver hydrostatic organs inside their bodies. They have have interesting adaptations to get around. 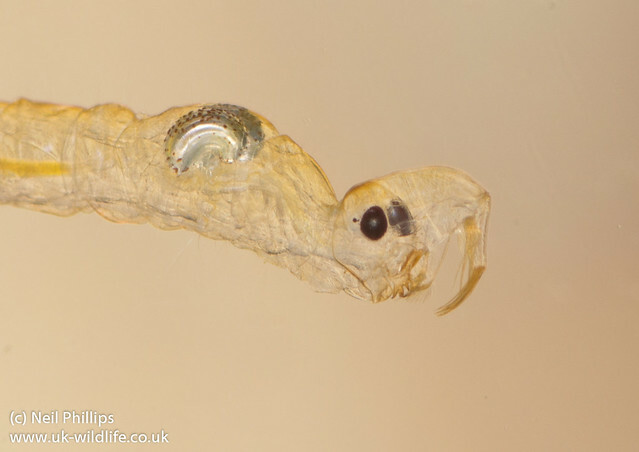 One way is by flexing their body, using their thick comb of hairs on the end of their abdomen to propel themselves. They also use the hydrostatic organs (the shiny silver bladders) like the ballast tanks of submarines. They keep it floating horizontally and at the correct level in the water. 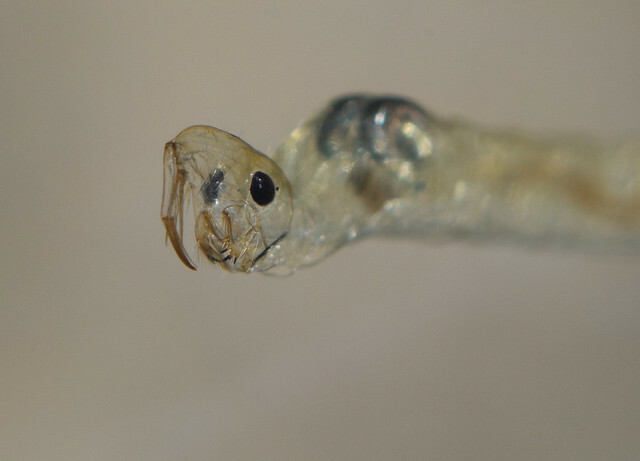 This also enables them to float down on prey without having to move their bodies, something which could be sensed by their prey. 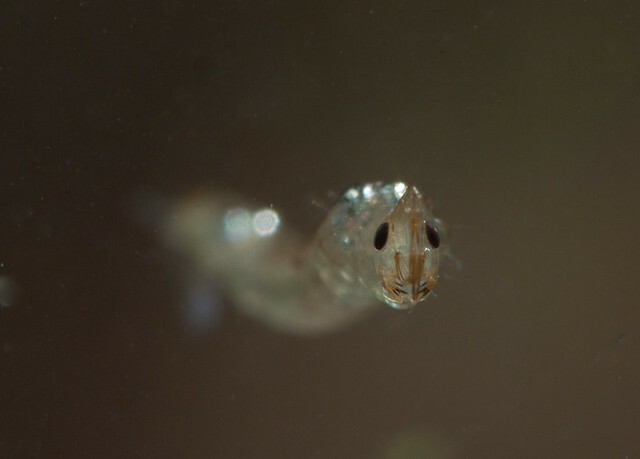 A rather amazing little creature!